So the reason I set up my blog in the first place was so I could join in on some of the wonderful blogging memes going around. The great sense of community I’ve found online with twitter has brought me into the blogging area too. 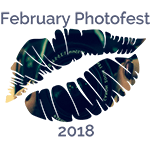 I mentioned before Christmas I would like to do the February PhotoFest and was simply told “go set up a blog”! So here I am, one month on, just about getting a handle on WordPress and what I’m doing. Still wrestling with my new camera at weekends and playing with my iPhone during the week, about to start my first FebPhotoFest. For those that follow my blog I apologise for the daily notifications – feel free to ignore me this month. For everyone else enjoy the range of photos I manage to do. I thought I should prepare for the hard work ahead by painting my toenails as they have been bare over the Christmas period. So here is a photograph of them ready and waiting. No putting my feet up and slacking this month! Let the fun begin! Great shot! Love the colour. I’m not really a foot person, but great to have you joining in and looking forward to seeing your photos as the days go by. welcome to blogging and Photofest!!! Love the color on your toe nails and the toe rings!